Panthera Resources Plc (LON:PAT) Managing Director Geoff Stanley talks to DirectorsTalk about the progress at the Naton project. Geoff talks us through the highlights of the drilling update, explains whats next for the company and updates us on the prospecting license application. 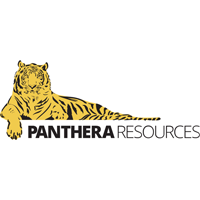 Panthera Resources Plc was incorporated in the UK and Wales in 2017. The company is focused on its gold exploration and development projects in India and West Africa and the optimisation of other mineral projects. The company was founded by seasoned industry professionals with wide-ranging international experience that has included senior executive positions with Billiton. The flagship property in India is located in the State of Rajasthan where the joint venture company (70% Indo Gold) has identified a preliminary JORC (2012)-compliant Inferred Mineral Resource of 38.5Mt @ 1.4 g/t AU (1.74 million ounces of gold). Additional exploration targets have been identified (and in some instances drill tested by the Geological Survey of India) that suggest potential for at least 6 million ounces gold.